Wholesale Distributor of a wide range of products which include metal pin bush couplings, brake drum pin bush couplings and flexible pin bush couplings. In accordance with customers' variegated requests and necessities, we yield a recognized and fluctuated accumulation of Metal Pin Bush Couplings. This coupling is splendidly composed at vendor’s ultra-modern fabricating unit utilizing the incredible quality unfinished material and dynamic engineering remembering the characterized quality gauges. 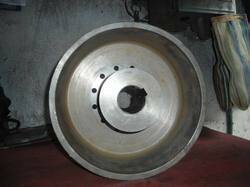 Being a quality-situated association, we guarantee our customers that this coupling is astounding on tallies of strength and quality. 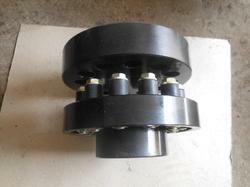 Being a client turned firm, we are occupied with displaying an extensive variety of Brake Drum Pin Bush Couplings. This coupling is composed and created utilizing finest and premium evaluation unfinished material and refined and advanced engineering in synchronization with industry measures. Under valuable showing and guiding of vendor’s talented experts, we are occupied with giving a broad extent of Flexible Pin Bush Couplings. Owing to its exceptional quality, the offered extent is really requested in the business sector. 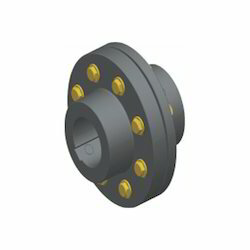 Looking for Pin Bush Couplings ?